Vivian's boyfriend Eddie goes crazy for her home-made caramel corn, so Lucy suggests putting it on the market. The three decide to go into business together. The demand is so high for the carmel corn that Lucy and Viv start an assembly line in the kitchen, turning it into a gooey, sticky mess. Things go well until the police investigate rumors of someone violating zoning laws by operating a business in a residential zone. Lucy and Viv frantically try to hide the evidence before the cops arrive. 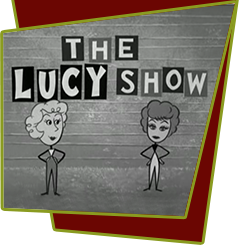 Special Notes: Lucy and Viv argue over what to name the popcorn. Lucy wants "Carmichael's Carmel Corn" and Viv wants "Vivian's Carmel Corn." They eventually name their caramel corn "Crazy Crunch". This is a rehash of the argument in I Love Lucy episode #68, "The Girls Go Into Business", where Lucy wants top billing in the dress shop ("Lucyeth's") and Ethel wants her name to lead ("Ethelu's"). Bloopers: While Viv is on the phone, Lucy takes a hot pan of caramel syrup off the stove. After she does this, her gloves fall off, and continues to handle the hot pot and caramel sauce with her bare hands.